Habitat: Grows wild rather moist ground in the area with an altitude of 1-2500 m above sea level. Description of the plant: Plant ground cover, including herbaceous plants with horizontal bars, each segment of the root and spread out on the ground. Kidney-shaped leaves, jagged, and at the base of the stem shape. Long flower shape lidded 2-3, dealing with the leaves. Propagation by root shoots. Chemical Ingredients: Glycosides asitikosida; Velarin; Alkolisulfat; resin; Tannins. Enough water, 5 g herb gotu kola; brewed, water drunk as a tea substitute. Enough water, 2 handfuls of fresh herb gotu kola; contused, Drink 1 a day 1/4 cup; for 14 days. 110 ml water, Fresh turmeric rhizome 1 finger; 2 handfuls of fresh herb gotu kola; Wind penetrance (powder) 1 teaspoon; Coriander 9 points; Ground; Add the water; filtered; Boiled, Drink 1 a day 100 ml; for 7 days. 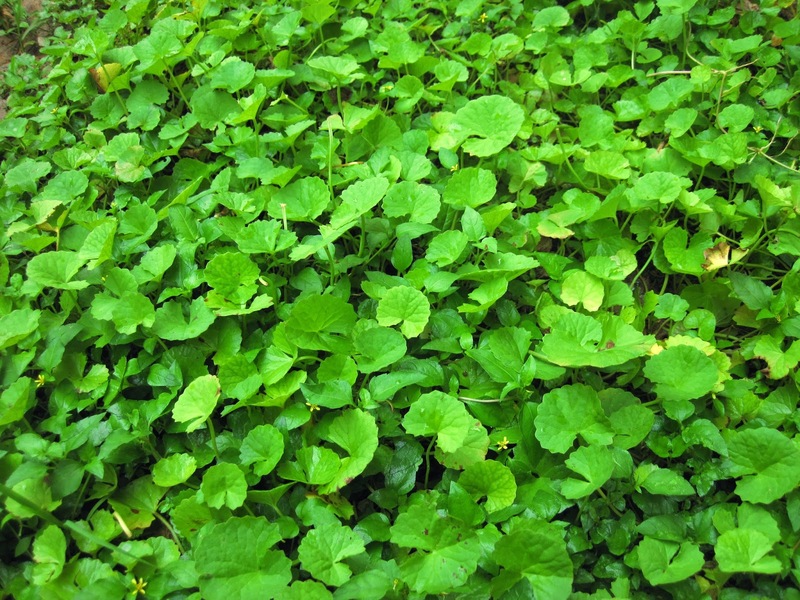 110 ml water, Leaves Wungu, 2 handfuls of fresh herb gotu kola; ( Graptophyllum pictum ) 7 strands; Ground; add water; filtered and boiled, Drink 1 a day 100 ml; for 30 days.